Challenge.gov, the official website for crowdsourcing and prize competitions across government, celebrated its five-year anniversary in October 2015. Now, not even one year later, the site has reached another milestone. On Monday, two agencies launched new challenges, bringing the total number of competitions on Challenge.gov across the 700 mark. 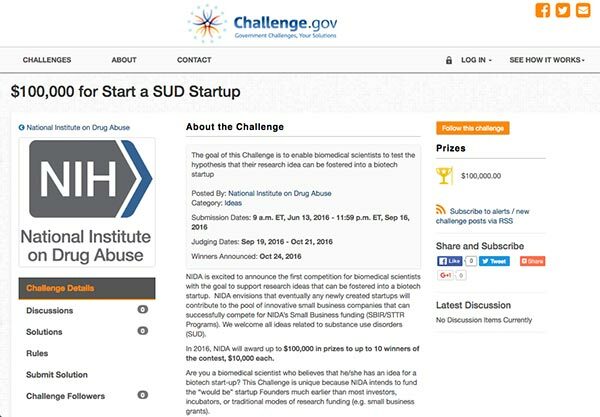 The 700th challenge, Start a SUD Startup, comes from the National Institutes of Health’s National Institute on Drug Abuse (NIDA). The challenge looks to award biomedical scientists up to $100,000 to help transition their research ideas into viable business opportunities. Competition organizers seek ideas that can address multiple conditions and diseases associated with substance use disorders, or prevent and/or treat such disorders. The challenge is unique because NIDA will fund potential biotech startups much earlier than most investors, incubators or traditional methods of funding, like small business grants. On its heels, NASA also launched a health-related challenge today, aiming to improve the resiliency of the human body in space. 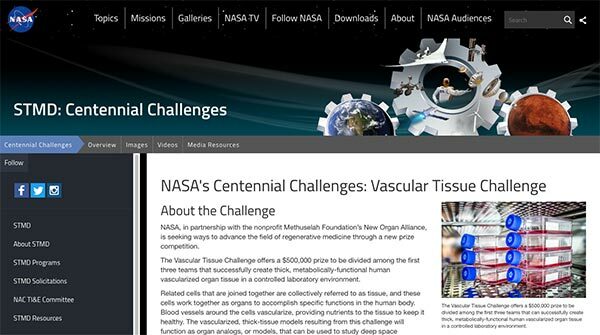 Essentially, the space agency wants solvers to submit technologies that can advance research and one day grow tissues and organs in orbit to ensure the health of astronauts injured or recovering from injuries sustained during lengthy missions. Since its launch in September 2010, Challenge.gov has seen a steady increase in use among both federal agencies and citizens. The 700 challenges on the site have seen more than 300,000 citizens compete for over $250 million in prize money.